For all inquiries related to OpenSpace Beta, you may give us a call, send an email, or send us a message through the contact form on the right. We will be happy to be hearing from you! and the BetaCodex Network here. If you are a journalist or blogger, and wish to review the OpenSpace Beta handbook for your publication, please let us know. We will be happy to send you a review copy! For other media enquiries, get in touch with us by phone, by email or through social media. 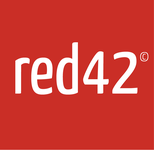 We at Red42 seek to build a network of entrepreneurial business partners around the world. If you can see yourself being part of such a network, get in touch!